The Friends of the Flange : Anatomy of a Steel Ribbon, Part 1. Anatomy of a Steel Ribbon, Part 1. In my last article, I briefly stated that I am of the opinion that there ought to be more federal mandates requiring railroad companies to keep their tracks in good condition. It didn’t occur until after the article was posted that members of the general public probably do not have a good understanding of what, exactly, defines whether tracks are in good or bad condition, nor the details of how the tracks function in the first place. In the first part of this article, we’ll look at how the idea of railroad tracks developed, then in Part 2 we’ll continue on to take a look at the different machines and jobs involved with keeping tracks in good condition. Concrete ties: A modern invention. There’s a bit of irony in the fact that we tend to focus on the machines that roll over the tracks, but forget about the rails themselves. Like the first stationary steam engines, tracked wagonways were first put to use in coal mines. 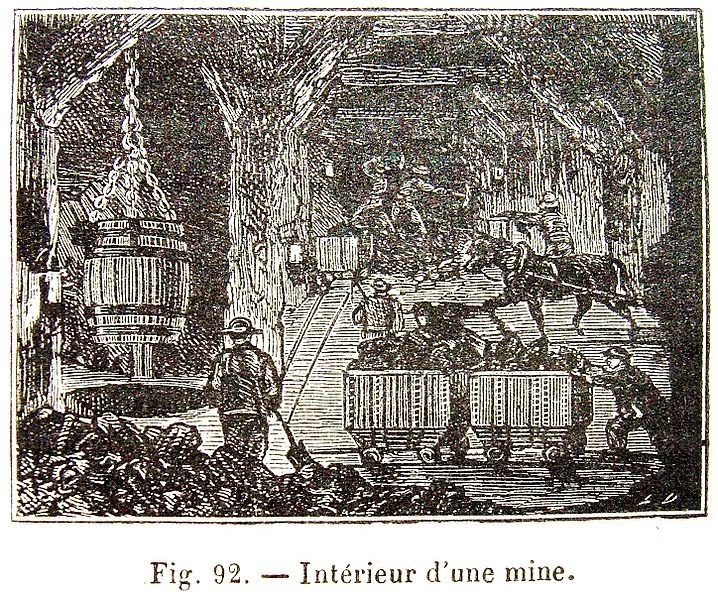 The first examples date back to the seventeenth century, though there is some historical debate about the exact date of their implementation and whether English or German miners latched onto the idea first. 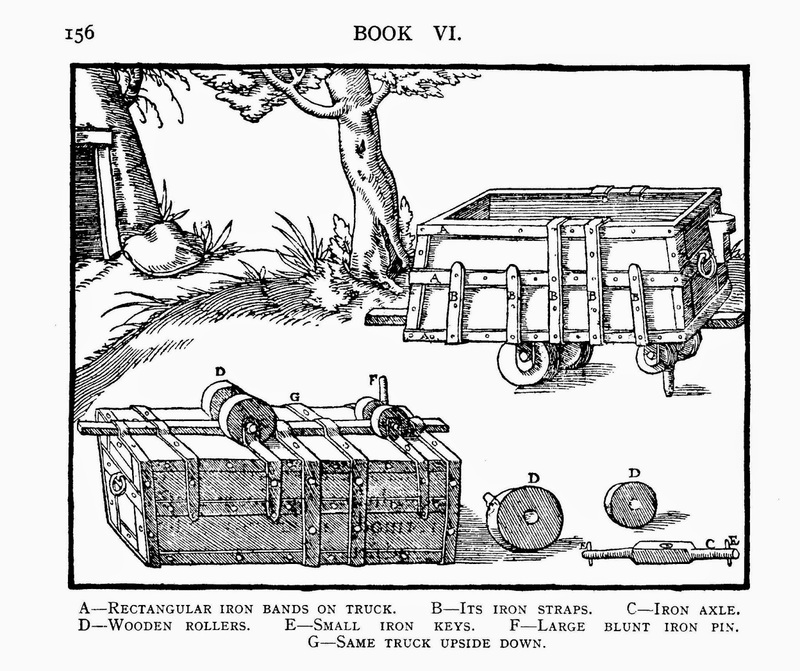 A mining cart from 1556--the pin at the front of the cart is designed to fit into a tramway and guide the cart. These first pre-industrial trackways were made of wood, the easiest and most abundant building material at the time. The carts were at first guided by grooves in the rail, in the same way that a street tram’s wheels are sunk into the pavement. They were attached to logs for stability, the precursors to wooden crossties. An engraving dating from the 18th century, depicting a crude railroad in France. These early wagonways appeared at time when Europe had almost run through its supply of fuel-wood, and demand for coal was on the uprise. As this increased demand translated into more wear and tear on mining equipment, the mine owners began to coat the wooden rails and cart wheels with iron and then, eventually, make both components entirely out of metal. Flanges to stabilize the tracks and the wheels upon them began to appear around 1790. The basic form of the railroad tracks was, thus, well established by the time the first experiments with steam-powered locomotives took place. Common track gauges around the world. Popular tradition takes the history of the railroad tracks as far back as the Roman Empire, and supposes that the rather arbitrary track width that would become the standard track gauge in the United Kingdom and the United States-- four feet, eight and one half inches-- was borrowed from the width of the wagon ruts worn into Imperial roads. The reality is a bit more mundane. The Roman Empire and the mines that owned the wagonways both used horses as their primary source of power, nd naturally found that gauge most convenient to use. George Stephenson and other railroad innovators looked to that gauge because they had a technological precedent, but around the world a staggering variety of track gauges--from two to seven feet--have been tested and adapted. Upon their introduction in England, the first truly mechanized railroads faced some public doubt that the finger-wide wheels actually had enough surface area to move forward. The weight of the engine and loaded freight cars, however, proved to be enough to overcome the relatively frictionless steel-on-steel surfaces. Modern rails are quickly, and dramatically, welded together with thermite. The sight of train tracks soon became familiar to almost everyone in the world, and has barely changed since the early 19th century. The technological innovations that were implemented since then tended to be invisible: Improvements to the type of steel the rails were made out of, methods that allowed manufacturers to roll them out in longer lengths, and techniques to weld rather than to rivet these sections of rail together. Virtually the only immediately visible change has been using plastic or concrete crossties for light-duty tracks. 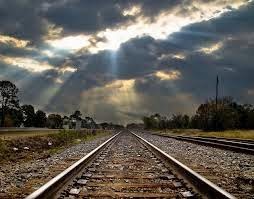 As with many aspects of railroading, there is a slight difference in the form and nomenclature of the tracks, depending on what part of the Atlantic one resides on: in North America, the bottom of the rails are wide and spiked directly onto the ties; in the UK, the ties are referred to as ‘sleepers,’ and the rails are narrow and held to the supports by a metal cradle. 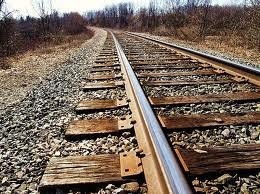 The weight of railroad track is measured out in pounds per yard or kilograms per meters, depending on the country where it is manufactured and used. The term light rail refers to rails that are 100 pounds per yard or less, for example, and main freight lines are 130 pounds per yard or more. designed to run two different gauges at once. Finding the correct depth for the bed of ballast is a science to itself. The minimum depth is approximately six inches for a light rail track--less than this, and the track and train may begin to sink into the ground. 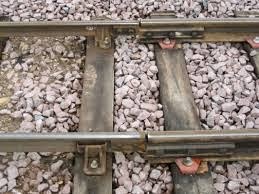 The ballast must also form a “shoulder” that extends at least six inches beyond the width of the crossties, in order to prevent the tracks from moving from side to side. The layers and sub-layers of the railroad tracks. If one was to look at the cross-section of a permanent way, especially one from an older length of track where replacement ballast has built up over many years, it would be quite obvious that the entire structure is much wider at ground level than it is at the top, where the rails and crossties sit. The permanent way is intentionally shaped into a triangle, one of nature’s strongest shapes, in order to spread out the hundreds-of-tons weight of a fully loaded train. This is a general background of the way that railroad tracks were developed. In Part 2, we'll continue on and look at the work that goes into keeping them in good shape, and the machines that are used to do the job.